Most of them lithic artifacts and faunal remains from different species. The lithic industry is made on flint and very well preserved. A broad range of tools used in domestic activities – hide-working, butchering and carcass processing, bone artifact manufacture, etc – has been recovered. 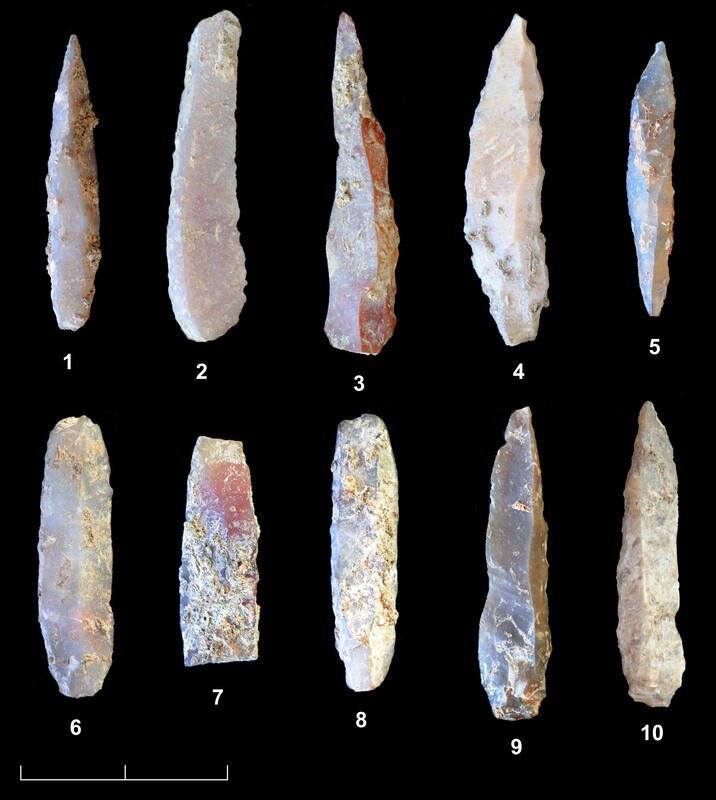 Many lithic points used as hunting weapons have also been found. The mobile art pieces from this season, together with the fourteen found in previous years, are particularly noteworthy and make Molí del Salt the most important collection of Paleolithic art so far documented in Catalonia. The archaeological research in the Molí del Salt is part of the project “Paleoenvironmental Change and Human Settlement in the Francolí, Gaià and Siurana basins and Camp de Tarragona streams”, developed by the IPHES (Institut Català de Paleoecologia Humana i Evolució Social). In this season, a team made up of 10 people worked on the site, most of them students of the Erasmus Mundus Master in Quaternary Archeology and Human Evolution of the URV, and University of Barcelona (UB) students.